Amazing! Helped me regulate my periods and feel less tired! I am VERY PLEASED! Not only have I noticed a difference in how I feel when I take these, but my hairdresser noticed the difference in my hair! I can also tell that my body is actually absorbing this supplement because my urnine is not fluorescent yellow! Truly worth every penny! 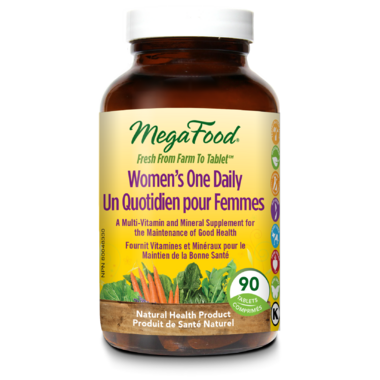 MegaFood are amazing high-quality vitamins, with real food ingredients I can feel good about. No synthetic garbage. Love love love them. I was suffering from angular cheilitis as the temperature started to cool down, and could not get it to way no matter how much moisturizer I put around my mouth. 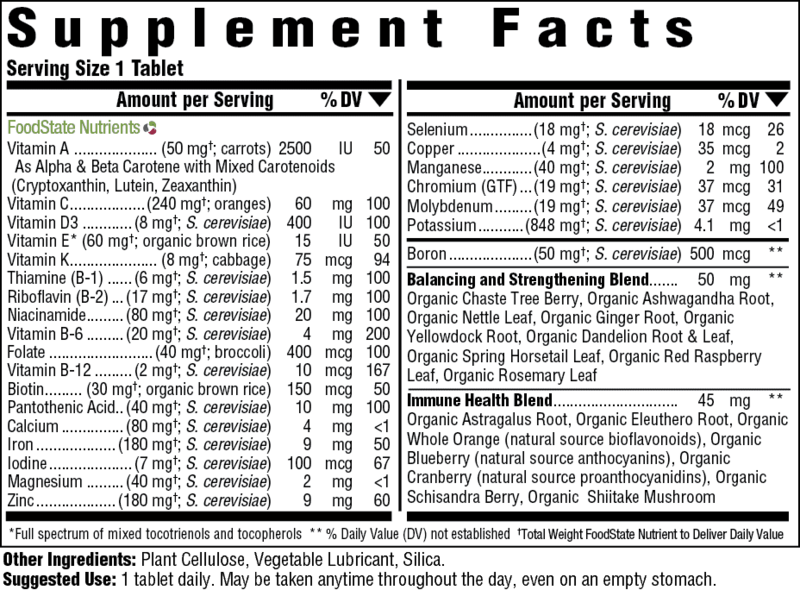 I read up on the causes of it, and a deficiency in vitamin B2 and Iron are said to be the cause of it, so I decided to try out a clean multivitamin. Within a week, my severe dryness was healed. These vitamins are great! I love everything from MegaFood. I took the Baby and Me 2 during my pregnancy and post-pregnancy loved them so healthy and did not make me nauseous, tired or irritable. I haven't started taking these multivitamins as Im waiting for my post-pregnancy ones to finish but I'm sure this will also be excellent for my body. Easy on my stomach, easy to swallow because it's a tablet, and I have actually noticed a bump in my energy. I have never taken a multi and noticed more energy. I am definitely, buying the big bottle this time! I like this multivitamin. Been using it for about a month now.